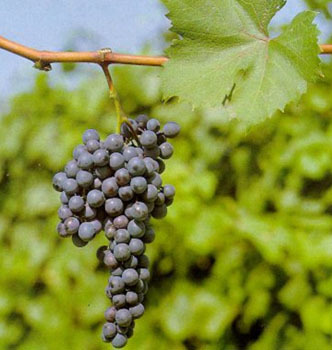 Dolcetto is one of the great underrated grape varieties of Italy. Which, of course, often makes it a uniquely excellent value when you're looking for something both drinkable and, occasionally, depending on who's making it, unexpectedly complex. John Mariani, in this week's edition of his excellent Virtual Gourmet, delves deeper into Dolcetto, and covers its history, current manifestations, and exactly why the name is so misleading. Click here for the full story, then pick up several bottles to taste for yourself: As Mariani puts it, "Dolcetto is unlikely ever to achieve the status of barolo and barbaresco [its Piedmontese brethren], but for a dry red wine that complements the complete range of meats in summer and winter, dolcetto has come a long way at a price level that makes perfect sense right now." Coincidence! I picked up a bottle of Dolcetto for this weekend as I have heard some excellent things about it but haven't had the chance to try it.